Had a 4 night stay while visiting family in Macedon. Can't say that the campground is any better than average. We had a back in site that was very hard to get into (tight between two trees and not very level). We might have asked for a different site but when we arrived around 3 PM on a Sunday afternoon, the office was closed and we didn't see anyone around. Had to find the site on our own. Was going to check in the office the next morning but we were going off to visit family and the office didn't open till 11:00 AM and closed before we returned. (same thing for the rest of our stay). As it was we never saw any staff during our stay except one evening when someone came around to suggest we didn't leave our awning out because of a pending storm. WiFi was useless at our site, never was able to connect at all. Overall the campground appeared to be well maintained but perhaps a bit cluttered. If quiet is on your agenda, be aware that the campground is close to RR tracks The rumble of trains and the sounding of the train whistle was frequent but not welcome, especially at night. Didn't use the RR's so no rating. We stayed in August, between robinson way and lane 1. Pull through site. Not much shade. If you want shade try to get a spot in maxwell grove. Facility is nice. Pool is very nice. Staff is nice. Would stay again. 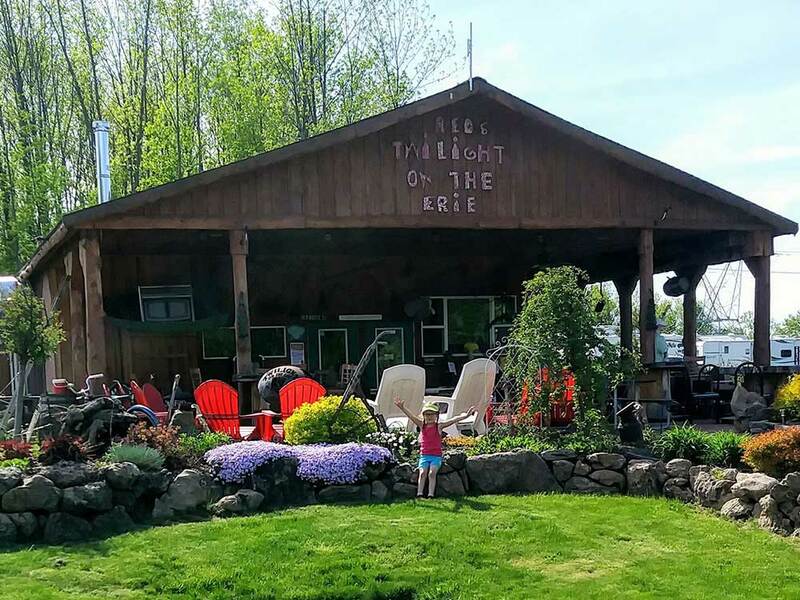 Very friendly, reasonably priced and great location to Erie Canal bike way. Wifi is very weak at camp sites and only able to connect and receive emails at office location. Will definitely return.